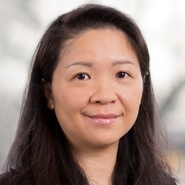 Of Counsel Weiwei Luo (Washington, DC) will speak at RINA's 19th Annual Electrical and Electronic Equipment and the Environment Conference, taking place in London, England, from November 14 to 15. The event provides an opportunity to learn about the current and future challenges on environmental compliance and legislation for hardware products and covers all the key requirements pertinent to placing hardware products on the market, offering the ideal, one-stop opportunity to catch up with current issues, get a glimpse of the road ahead and, discuss with experts and peers. Weiwei will speak in a presentation titled "Chinese Substance Restriction Regulation - An Update," which will take place on November 14 from 12:10pm to 1:00pm (GMT). This presentation will address the legal framework; the scope, requirements, and latest developments of China RoHS 2; and other chemical restrictions impacting the electronics industry.